This store's name explains exactly what we offer here. This store includes unique, more rare and higher-end toys and collectibles. 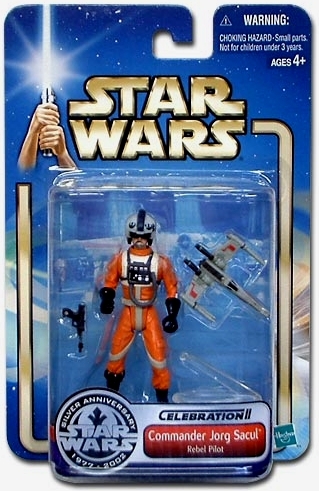 We have now included Star Wars and non Star Wars items in this store. We may entertain serious counter offer inquiries from customers on items priced over $2,000 from our Rare and High End Store. Each card is serial numbered and limited to 10,000. Comes with manufacturer's certificate of authenticity (COA). Item contains "23 Karat gold." Gold is layered doubled-sided on the card. Manufactured and produced in 1996. Comes in a card box. Each card is encased in hard plastic. Low serial numbers suggests early production series. 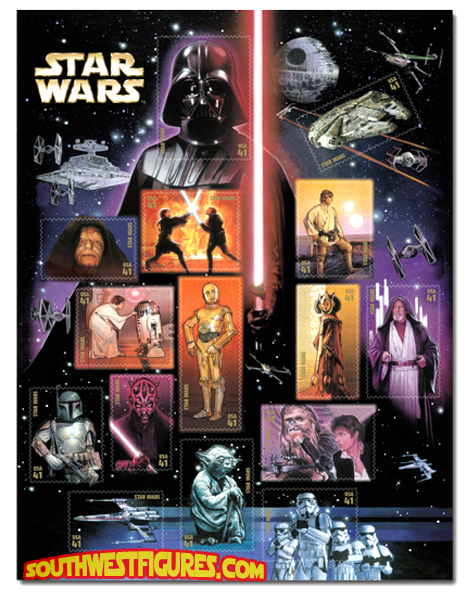 USPS 41 cent (USA) Postage Stamps celebrating Star Wars 30th Anniversary. These are USPS authentic full sheet of 15 full color stamps on art depiction background. Sheet is in C9/95+ condition. If you want to mail them, one will have to add additional for current postage rates. Stamps 100% new, unused with glued backs (not self-peal). This series is no longer available. Prices includes actual 2005 postage costs plus collector premium. Fully carded. 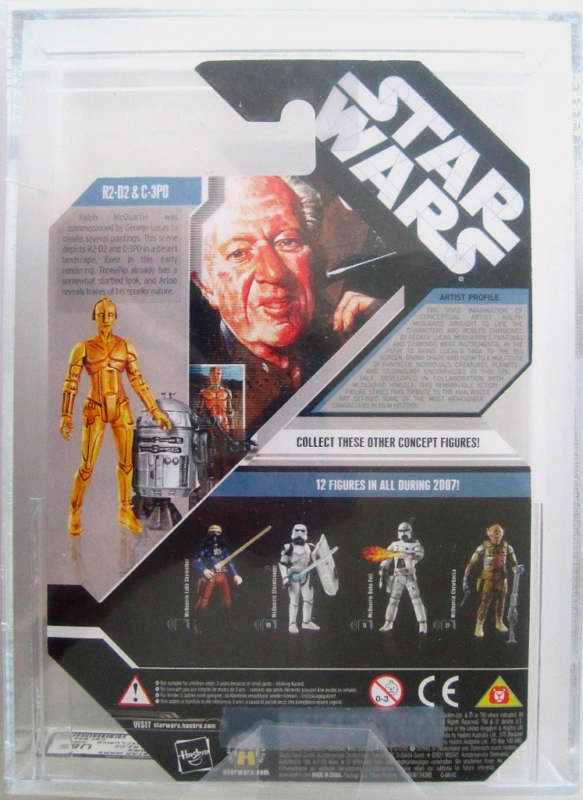 Of the over 3,000 Episode I factory sealed case figures we purchased many years ago, we found 3 error cards. 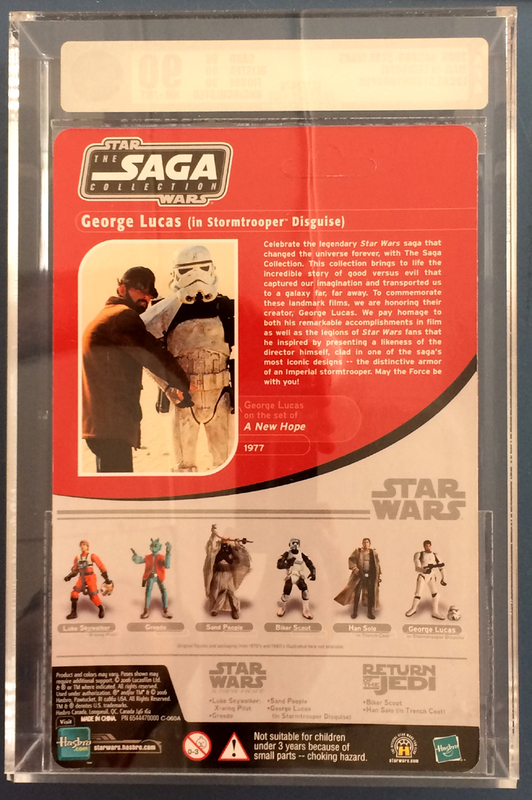 This item includes our sealed baggie with a unique serial numbered hologram to help maintain authenticity. Shopping cart will show "+*HG Seal" to reflect this offer. 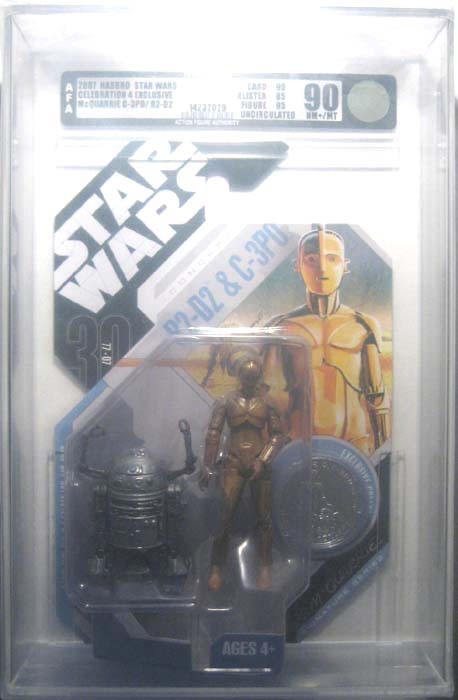 Of the over 3,000 Episode I factory sealed case figures we purchased many years ago, we found 3 error cards. 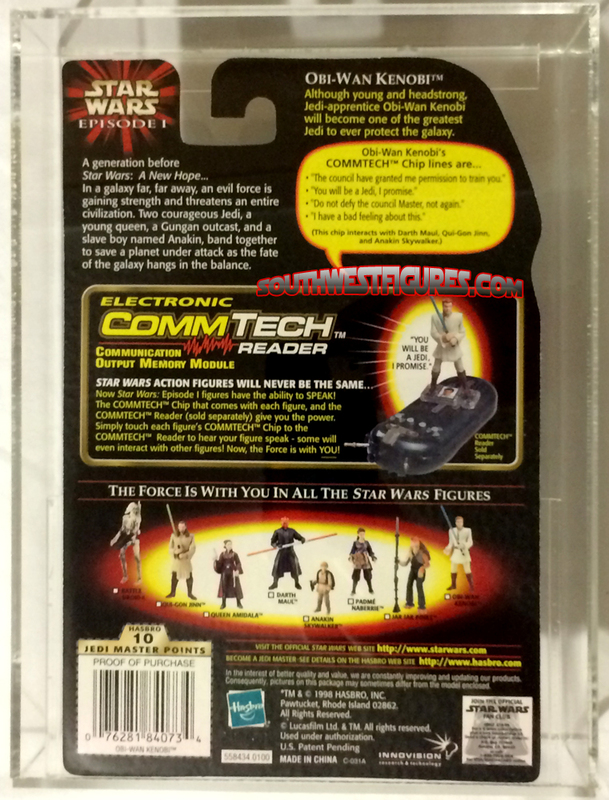 Factory sticker on card shows "Blaster Rifle and Pistol" (Card Top LEFT). 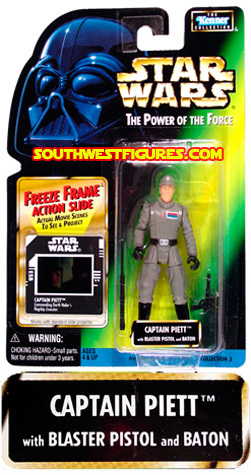 Captain Piett never had a blaster rifle, those were generally used by Stormtroopers. As an officer of the Empire, Piett carried a Blaster Pistol and Baton. The correct card version should read: "Blaster Pistol and Baton" (Shown on RIGHT). Standard card version is shown for comparison, not included with purchase). This offer for the Error card. 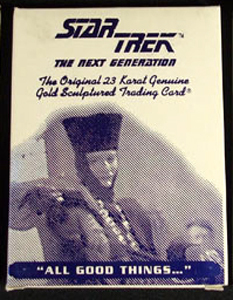 Includes ONE #207 Error Card (shown on Left). This is an Official Vintage 1977 Topps #207 revised trading card. 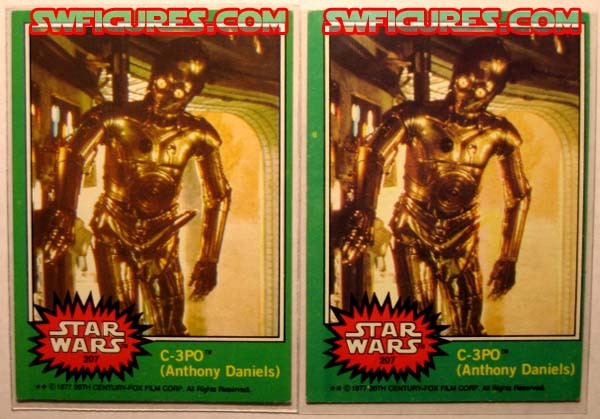 The 1st release "controversial card" apparently got the attention of some people at LucasFilm, LTD., and was quickly replaced with this card shown HERE on left. 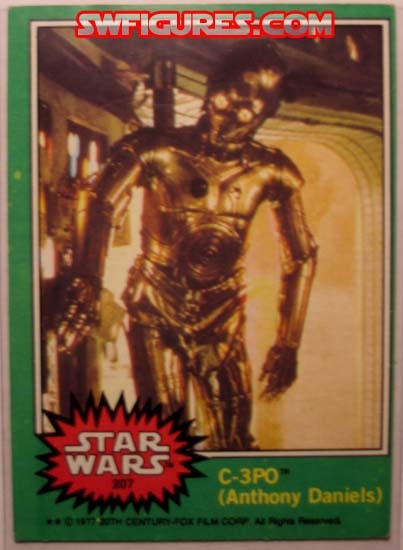 The first release Official Vintage 1977 Topps #207 card apparently got the attention of some people at LucasFilm, LTD as we were told. The card was pulled from any further production due to its, we'll... extruding appearance. We aren't sure how many of these are still out in circulation, but it's sure to get a good laugh and generate lots of conversation when displayed in your home or office. Special Offer This item now comes in a hard plastic trading card case with our unique serial-numbered, tamper-evident, hologram seals to help maintain authenticity. 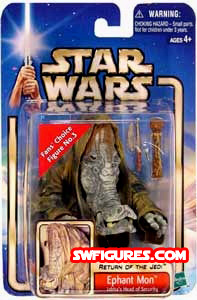 The heaviest Star Wars action figure ever made. Of the over 3,000 Episode I factory sealed case figures we purchased many years ago, we found 3 error cards. This one Comes in an an official AFA acrylic tamper resistant case for permanent display and storage. Back at the time AFA did not grade the item because we opened the case. The case had 32 figures, and we had literally tons of cases. Since the item originated out of a sealed case we opened, this will include our lifetime backed Certificate of Authenticity. Very difficult for even dealers to obtain factory sealed convention exclusives legitimately. 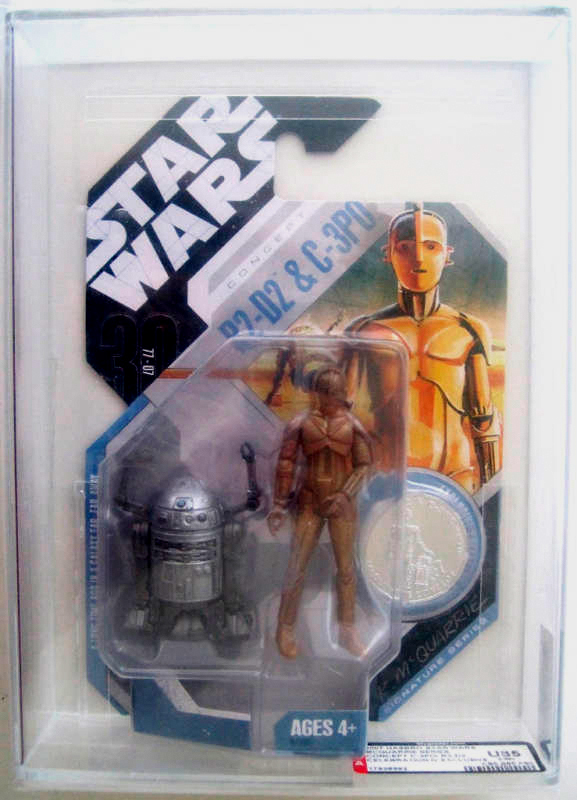 The last time there were carded Star Wars figures with collector coins was in 1985. Photographed with thick plastic cover over acrylic case. Actual item is 100% transparent. This item was authenticated and graded by an independent grader, AFA. 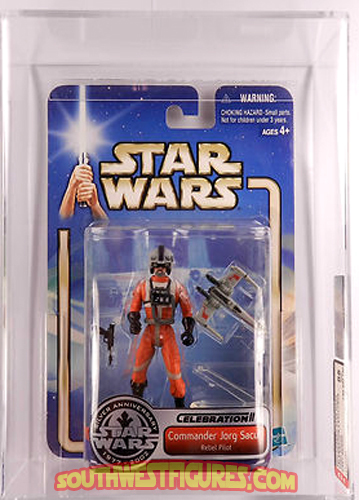 Action figure is encased in acrylic to help maintain authenticity. Each figure has its own unique AFA serial number. No specific variant. Any version. For those not familiar with this figure it was designed with George Lucas' likeness, and the first George Lucas likeness action figure ever produced. 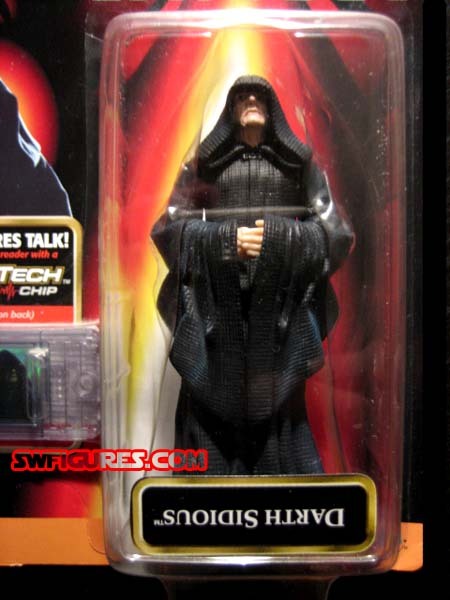 The action figure's name, "Sacul" is Lucas spelled backwards. We hand selected this item at the Indiana convention in 2002. 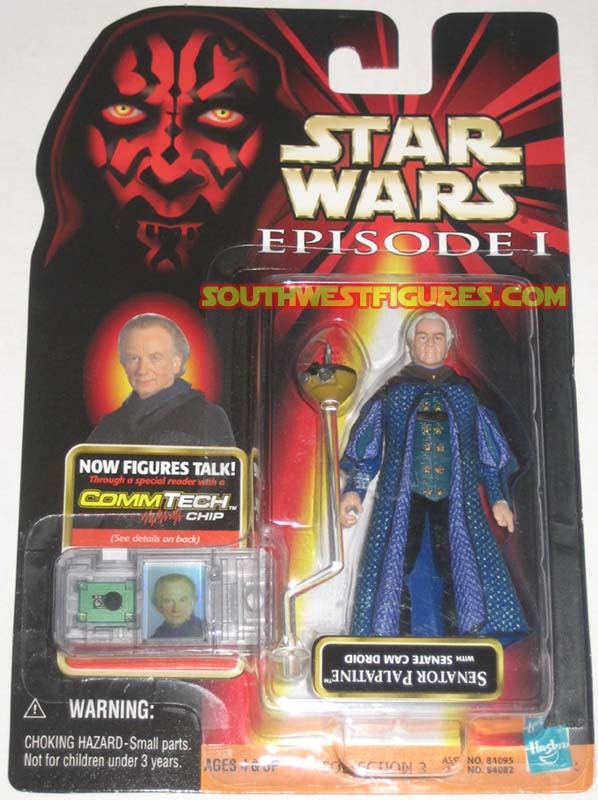 For those not familiar with this figure it was designed with George Lucas' likeness, and the first George Lucas likeness action figure ever produced. 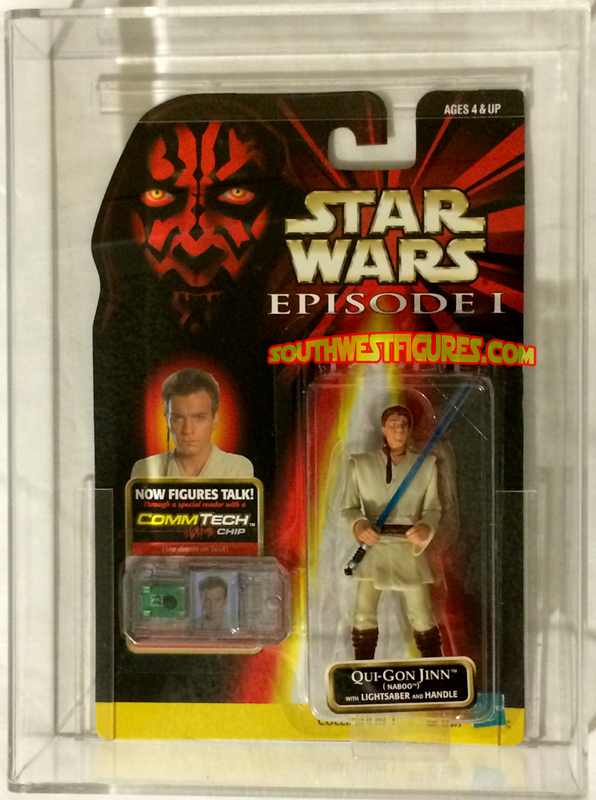 The action figure's name, "Sacul" is Lucas spelled backwards. We hand selected this item at the Indiana convention in 2002. Proof UNCIRCULATED (Noted with "U" Grade). 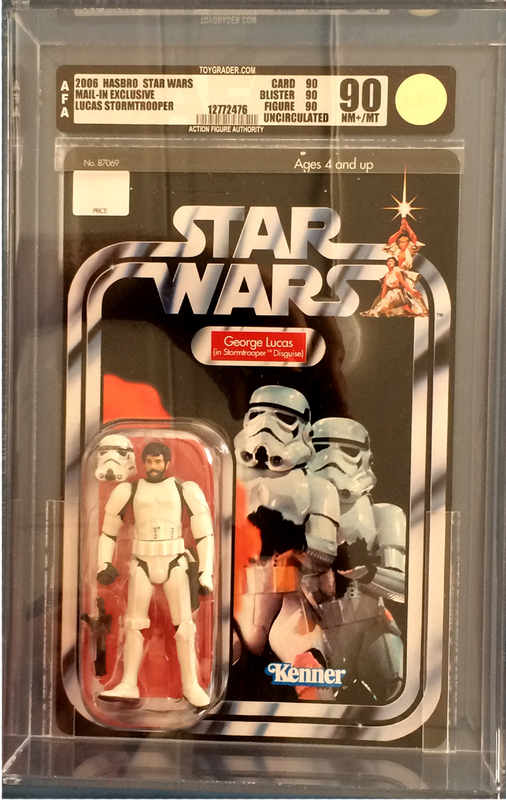 Writer, Director of Star Wars, George Lucas appears in this very unique exclusive action figure as Stormtrooper. 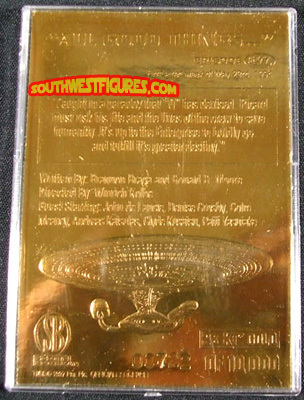 This was a mail-in exclusive requiring proof of purchases of specially marked figures. It was shipped in a white mailer box (sealed) and only opened by AFA, thereby designating with the "U" - uncirculated grade notation. A very rare 90/90/90 grade.